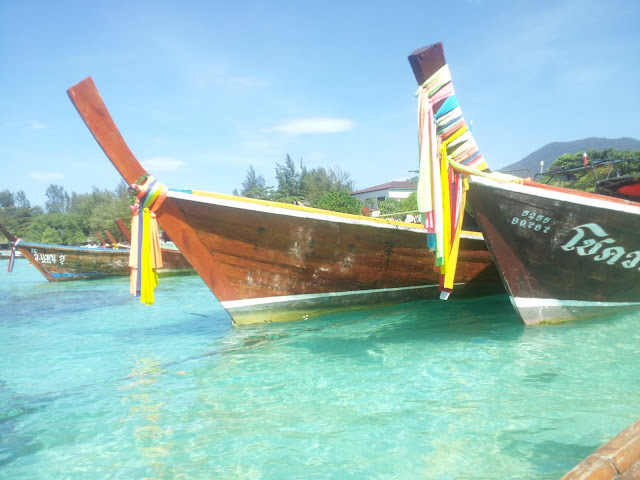 Family Travel Blog : Langkawi to Koh Lipe: Ferry or Speedboat? 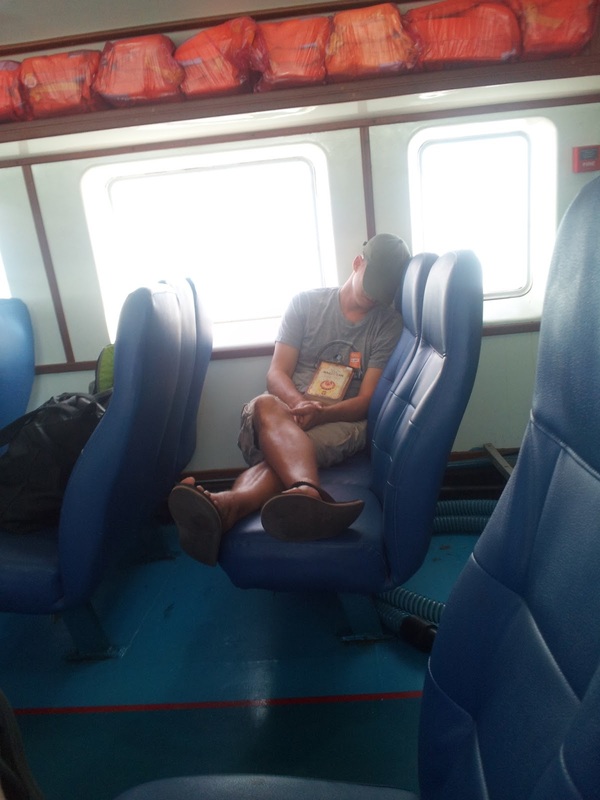 Langkawi to Koh Lipe: Ferry or Speedboat? Koh Lipe is one of those special places in Thailand that is worth the arduous journey that travelers will endure to get there. Pristine crystal clear waters, white sand beaches, lively coral for world-class snorkeling, and all of the hospitality and great food you'd expect from Thailand are certainly a great lure. There are several ways to get to this outlying island, but the easiest way is to fly into Langkawi, Malaysia and take the ferry to Koh Lipe, which is the way we went on our recent trip there. Our flight got into Langkawi late afternoon so we booked a hotel in Kuah. We wanted to be near the launch area of the ferries at Jetty Point because they left at 9:30am. There are also ferries that leave from Telaga Harbor closer to Cenang Beach in Langkawi, but the immigration process is a bit more cumbersome and the boats are not as comfortable. From here you'll have to trek 15 minutes by van to an immigration office to get your visa stamped out of Malaysia and then return 15 minutes to the harbor, and the boats are typically open air speed boats that don't have bathrooms. We booked our ferry tickets right at our hotel as most of the hotels are eager to do this for you. I highly recommend this method as it costs the same and ushers will picked us up from the hotel and took our passports through the immigration process while we enjoyed a Starbucks coffee at the Jetty Point plaza. The one-way ferry ticket cost 118 ringgit (about $39). We were grateful that they informed us that buying the return ticket was not necessary at that time as there would be many vendors at Koh Lipe offering tickets for similar prices. We took what is referred to as the "slow" or "big" ferry, but it seemed like a swift airplane on water and it is only around 20 minutes longer than the uncomfortable "speed" boats. Our ferry took around 110 minutes to reach Koh Lipe while our speed boat on the return trip was around 90 minutes -- more on that in a moment. The enclosed cabin of the big ferry was air conditioned and set up much like a bus with three cushioned seats on the sides of a center isle with two bathrooms in the rear. There were TVs and plenty of tinted windows for viewing the scenery. Passengers also had the choice to go above deck while the ride was smooth. The ride was ultra smooth for the first 80 minutes but it got a bit choppy for the last 30 minutes. A few people made frequent trips to the bathrooms but nobody became obviously seasick. The ferry docked with a floating barge where long-tail boats came out to retrieve us. 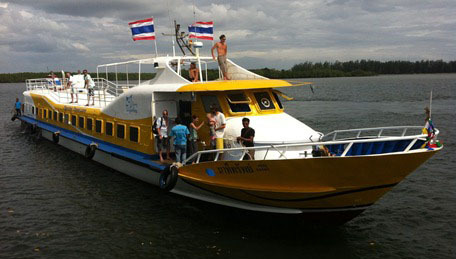 This service is NOT included in the ferry ticket and costs 20 Thai Baht (roughly $.65). These boats are necessary so not to disturb the stunning coral reef in the shallow waters. These boats pull right up to shore but it's wise to remove your flip flops before exiting as you will be in knee-high water. Finally, before we could enjoy the marvels of Koh Lipe we had to go to the Thai immigration stand to collect our entry stamps. The travel day started at 8:30am Malaysia time (which is an hour ahead of Thailand) with the van pickup and we got our passports back from Thai immigration at 11:15am (12:15pm Malay time) -- so just shy of 4 hours. After thoroughly enjoying a few days on the island, we booked the speed boat ferry back to Langkawi. The cost was the exact same, but the departure was a half-hour delayed and the ride was far less comfortable. It did arrive slightly faster than the big boat, but it landed in Telaga Harbor instead of Jetty Point, which meant we had to then be driven by van (which charged us $7 each) to Malay immigration which ate up any of the saved time. In conclusion, the cost is comparable but for my money the big boat is a much better value. The air conditioning, the comfort of having bathrooms, and landing directly at an immigration point makes it a better way to travel to and from Koh Lipe and Langkawi. See more tips on Malaysia travel here. This sounds great and Thailand as always been an adventurous place to all tourists. Woow. I was mesmerised by those crystal clear blue water. Makes me want to jump into the water right now. I would definitely go on a ferry. Traveling on a speed boat will make me miss on the beautiful scenery. It is too precious to miss. 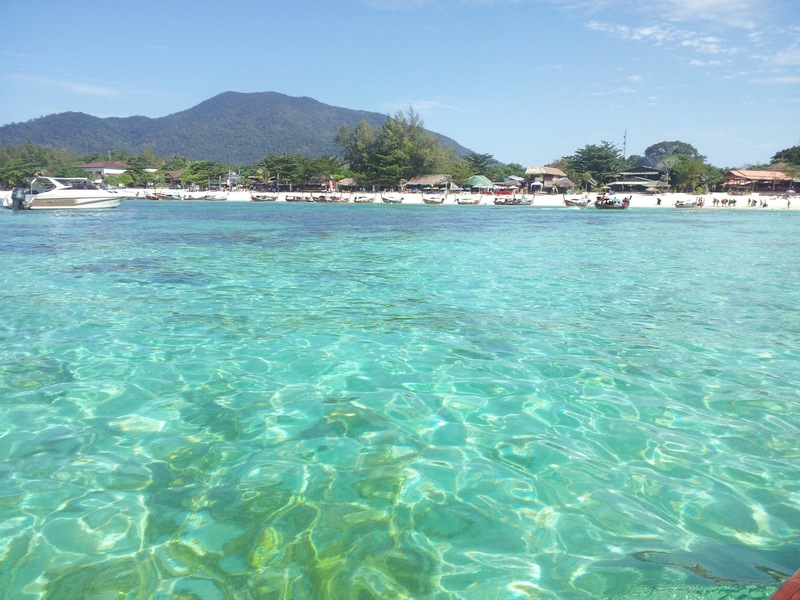 You must be mistaken, I've taken the speedboat from Telaga Harbour, Pantai Kok (which is 25 minutes away from Cenang Beach) to and from Koh Lipe and immigration is done on arrival at Telaga Harbour itself. The immigration office is right there in Telaga Harbour. - The speedboat you took back must have arrived to Awana Porto Malai near Cenang Beach. Hmm, maybe a seasonal difference? ?